How to Set Goals and Actually Keep Them! 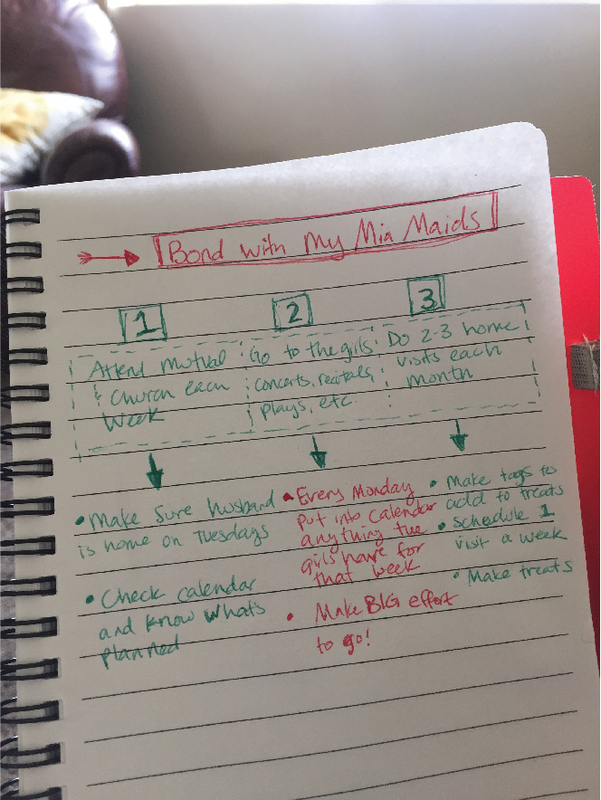 You are here: Home » Blog » How to Set Goals and Actually Keep Them! In this last General Conference (April 2017), one of my very favorite talks was Elder M. Russell Ballard's talk "Return and Receive". Elder Ballard taught us the importance of setting goals and how to keep an eternal perspective. I have always been a goal setter ... not always a goal keeper! 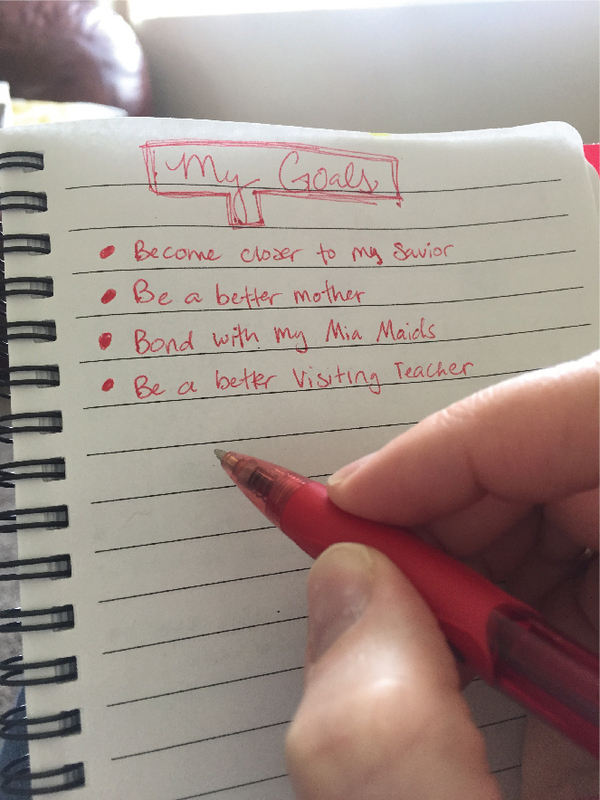 I think it's easy to set big, grandiose goals (especially in January!) and fall flat or easily lose sight of our goal. Seriously, how many of us vow we're going to lose 10, 20, 30 pounds this year and then by March, we're back to sneaking the chocolate chips in the pantry because they're the only sugar we can find in the house! Well, if this sounds like you, then you really need to read on! Step 2: Macros (short-term goal) - A macro goal is something that can be accomplished within a month. Choose 2-3 of these based on your long-term goal. For example, if your long term goal is to read the Book of Mormon in 1 year, then your macro would be a number of pages or chapters that you should read each month. Some long-term goals need more than 1 macro a month. Step 3: Micro - a micro goal is something that takes less than an hour. So these are your daily goals. If you're reading the Book of Mormon as your goal, then how many pages/chapters should you be reading each day? I have been using this process in my own life the past few months and have been amazed at how much I've been able to accomplish! When we look at a goal as a whole, it can sometimes be very overwhelming! But when we can see a daily goal that only takes a few minutes, it's much more manageable!. Elder Ballard said, "Over the years, I have observed that those who accomplish the most in this world are those with a vision for their lives, with goals to keep them focused on their vision and tactical plans for how to achieve them. Knowing where you are going and how you expect to get there can bring meaning, purpose, and accomplishment to life." Once you have finished your list (for now), start a new page for each of your long-term goals. Start with the first one and under your long-term goal, write down 2-3 Macros (remember, these are things you can accomplish within a month or so). Then under each of those Macros, write down 1+ micro that you can do to help you accomplish that Macro. Repeat this for each of your long-term goals. Wow! You have an entire journal now full of ways that are going to help you accomplish your goals! Don't try to work on ALL of them at once. Choose what is important to you at the moment and work on those first, then go to the next and the next and the next. You will soon be able to make this a part of your life. 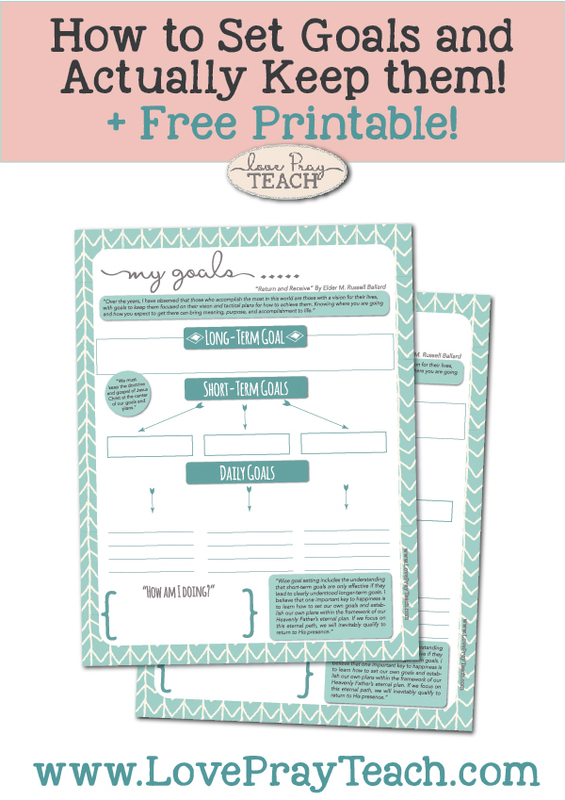 I have created this printable to help you get started! Put this in your journal or on your bathroom mirror or somewhere that you will see it daily. It's easy to become distracted so having a daily reminder of your goals will help you immensely! "One additional help is “The Living Christ: The Testimony of the Apostles,” which was presented to the Church on January 1, 2000. Place a copy where you can see it, and take time to review each of the statements found in this inspired testimony of Christ by His special witnesses who signed it. I would urge you to study it along with “The Family: A Proclamation to the World.” We speak often about the family proclamation, but please remember to read it in light of the saving power of the living Christ." 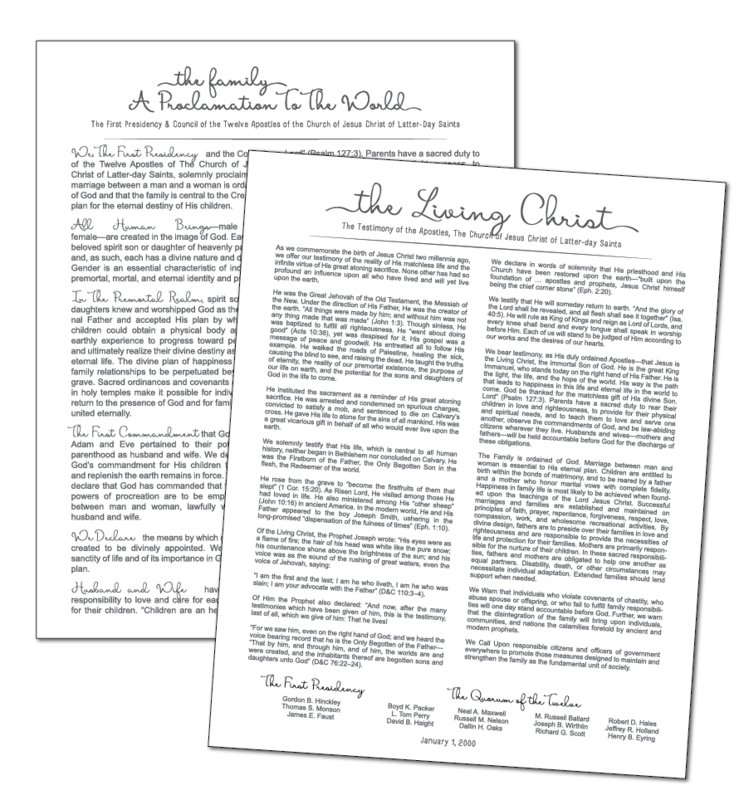 We have both The Living Christ and The Family Proclamation as free printables for our Newsletter Subscribers! Just click on over to our Home page and sign up for our Newsletter in the right hand column! You will be sent a link to download both printables! Let us know in the comments how you have learned to keep your goals! We love hearing from you! And if you liked this post, please share it with others by pinning the image below!